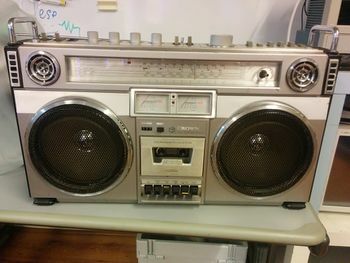 The SpaceBlaster is the ideal hackerspace portable speaker soundsystem. It's the competitor of the DeBASS and the DeCRASH. 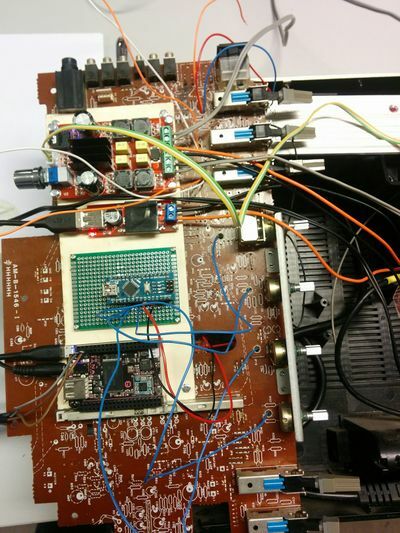 Audio filters using a tri-state switch: disabled, echo, hall, room. Potentiometer of FM band => playlists / radio streams. 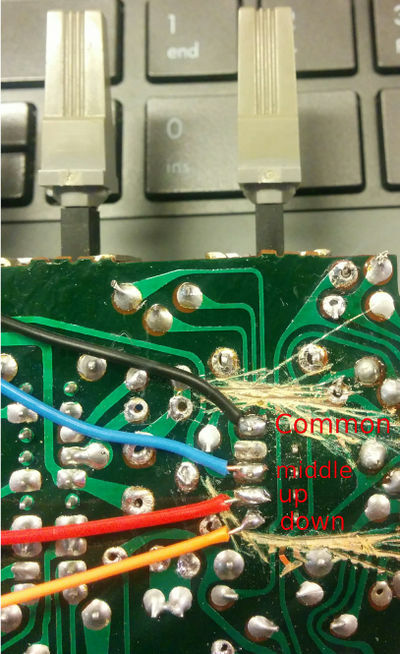 USB to serial from chip for debugging access. Installed one SN74HC165N shift register to be able to hook up most of the buttons :). See the following ASCII diagram for the shift register pin and function. I've cleared a lot of the second PCB, removed resistors, caps etc. Removed overall loose wiring. Created a custom JHT connector for the C.H.I.P. 's UART pins, the outside of the radio will have an usb plug (mini, micro?) so I can debug the C.H.I.P. without opening the case! Amplifier, 7-40V DC DC to USB converter and arduino board have been screwed down on top of the old PCB. Speakers cable have been hooked up and a power brick has been installed with a new schuko (c13) plug in the side of the radio. Potentiometers are hooked up to the Arduino, three buttons have been soldered. 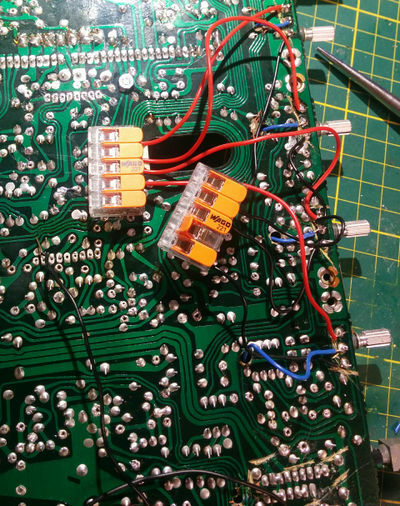 Stripped the main board of all transistors and other electronic components except the switches and potentiometers. 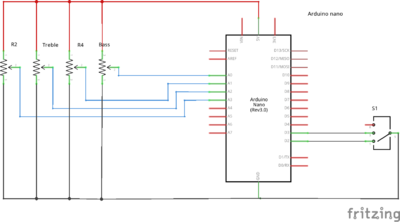 One tri-state switch has been connected, I will use two GPIO pins to detect in which state the switch (up, middle, down) is to save GPIO pins. 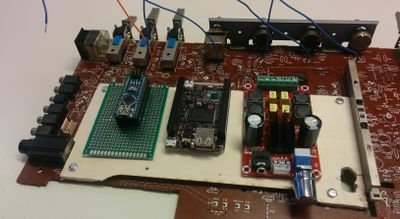 Possible layout of the ARM board, arduino and amplifier. Arduino nano will be used for digital gpio and analog input, data send over serial to the ARM board. Which will in software control bass, treble, switches for pause, play, stop. This page was last modified on 24 December 2016, at 00:10.